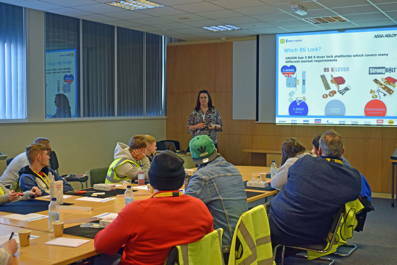 The open day, which followed the theme of ‘Past, Present and Future’, consisted of manufacturing facility tours, practical product assembly sessions, and provided an insight into the future of the industry, in particular smart home technology. 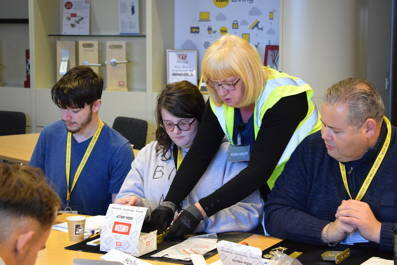 Steve added “It is important that these young locksmith entrepreneurs are made aware of how fast our industry is changing, and see the opportunities which exist beyond the traditional mechanical world. Notwithstanding this, the mechanical world is still a significant part of the industry, and is the bread and butter of most locksmith businesses. The digital revolution brings with it fantastic opportunities with ‘smart home’ technology and app based management growing at a phenomenal rate. Security products are part of this revolution, as can be seen within the Smart Living portfolio of solutions from Yale.